Lancer USA is a mobile application developed for iOS and Android that is a lightweight user-friendly app that takes no longer than 30 seconds to sign up, login and begin using. 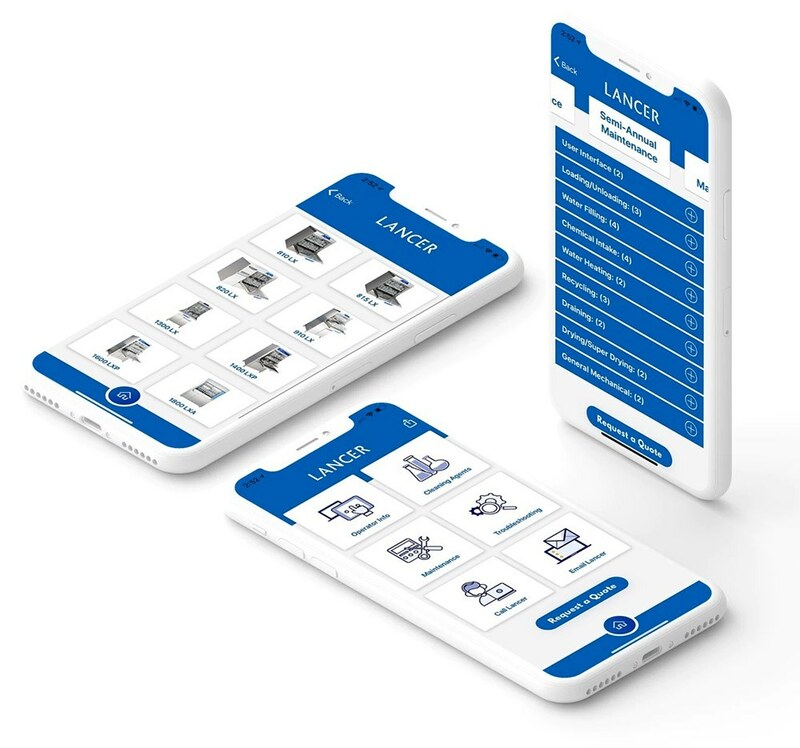 The main function of the app is to allow clients to easily find information on products they have purchased from Lancer USA as well as detailed troubleshooting guides. iPhone & iPad (iOS) devices have taken hold of the mobile market in a huge way: user affinity is increasing and the number of apps in the Apple app store continues to grow at an alarming rate. iPhone users represent one of the largest segments of portable device users and the iPad dominates the tablet market. This is a great opportunity to engage your customers. Android gives great personalization and choice to its users. Android is one of the top smartphone OS’ and it is now confidently making its way into the tablet market. What does Android application development mean for you? Several things may come to mind but reaching a huge audience of Android users which is great outreach for your business is key. Cutting-edge agile mobile architecture optimizes websites for desktops and provides “app-like” experiences on smartphones, tablets and e-readers. Gorgeous responsive design is the future of web design. Our responsive mobile website designs increase overall online exposure to help bring your site an influx of traffic and increased mobile conversion rates. It all starts with information gathering and initial brainstorming sessions. We help you identify the necessities of your mobile app and strip out any fluff. We spend the most amount of time planning every detail and metric for your app idea. We take care of all of the design and development for your app. When we’ve finished, we will submit your newly developed mobile application into the Apple App Store and Android Marketplace. This step involves determining the needs, as well as, addressing any pains you have. We’ll dig deep and ask the right questions so that the planning of the project is all laid out and a clear vision is intact prior to stepping foot into the design/development realm. We take all of the data, analytics, and other information detailed out from the discovery phase and put that into a concise development plan. We review this plan with you to start the wireframe and mock up process. This will give you an idea of the look and feel of the prototyped solution. The planning and prototyping phase is where we design the User Interface(UI) and tweak the User Experience(UX) so the mobile app does Exactly what it should with no annoying bugs, wasted space or fatty code. The App is thoroughly tested and is a Lean Mean Machine after this phase. We will send you a fully functional demo app using our state of the art app simulator and let you review the application for final approval prior to launch. Once we get the “A-OK”, we take the app and submit them to their respective stores and celebrate a successful new mobile app launch! We develop iPhone Apps, Android Apps, iPad Apps and Websites for our wonderful clients. Let us help you create your next mobile or website project. We look forward to hearing from you today! Learn more on how businesses use mobile apps to increase their bottom line! Learn more on how sports stars use mobile apps for branding, fan engagement & more! Learn more on celebs use mobile apps for branding, fan engagement and more! Your business has a vision; making the best use of iOS and Android mobile apps should be an inherent part of your ongoing business strategy. Mobile applications can help enhance the interactive connectivity of your clients. In 2016, over 1 Billion users will have smartphones worldwide. This gives you and your business objectives a chance to be “seen” in proportions never before seen in the history of digital marketing and media. Mobile apps can help people find your business, navigate your website and feel more closely connected to your brand. Having an app that gives you the ability to communicate quickly and efficiently with your clients means you can save money and valuable resources. © Copyright - Core Mobile App Development - A division of CMC. All Rights Reserved. Will was a great help and easy to work with. My site was completed in a timely manor. I would recommend. Core Media Concepts provided excellent service and made the process of recreating our company application and enjoyable one. Will and the Core Media team worked quickly and with concise communication. Expectations were set high and then exceeded greatly! I had the opportunity to work directly with Will, president of Core Media Concepts, on a web project for my fiance's small business. Will was very responsive, provided strategic expertise on the best tech solution, made several last minute updates and went above and beyond what he was required to provide so that we have a solid web presence. Because of his dedication, immersion into the subject and expertise, I'd recommend Core Media Concepts for projects of all sizes. I was very satisfied with our experience with Core Media Concepts. Will is very knowledgeable which was critical in guiding us down the correct path which can be very confusing. We plan to use their services againin the future and would recommend them to anyone. Job well done!! I have worked with Michael and Will of CMC on numerous projects for nearly 2 years. Their open, honest communication style along with their strong work ethic has helped our business grow tremendously. 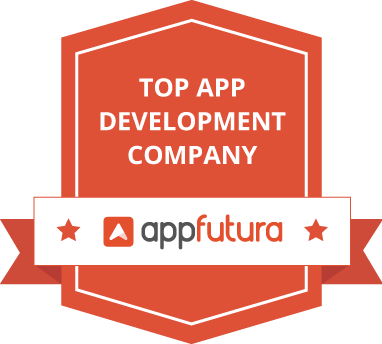 They are our go to technology partners for mobile app development endeavors. I contracted with Will and Core Media Concepts for the creation of a new web site for my kitchen design business. Will and his associate Michael got back to me right away, and that immediate follow through became the norm throughout the process. I was very impressed at how much time and effort they took to understand me and my business. Before they ever got started, they learned about my goals for my business overall, and then my goals for the web site. They have a very logical methodology for helping clients through the process of website design, and I found them very easy to deal with all along the way. Now, I know that process is one thing, but at the end of the day its the product that sells. I feel that these guys really delivered on the product side of things too. Everyone who sees the site tells me how professional it is. I have been practicing kitchen design for many years and I have had a web site that I built myself for almost 8 years... it was pretty cool to have past customers visit the new site and say things like 'I never knew that about you" or "I never read that article before". Much of my content was similar, but Core Media Concepts did a much better job of making things easy (and therefore more enjoyable) to navigate. We are now progressing into an SEO campaign and I am looking forward to a continued excellent relationship with Will and Michael. I recommend them without hesitation for all your web site, mobile app, and SEO needs. Highly recommended 珞 please check it out if you’re interested in this service. Highly recommend Core Media Concepts. Will and the team set high expectations regarding re-creation of a website with certain integrations and then exceeded them greatly in a timely manner! We were not even sure where to start for a dramatic rework of our application since we are a non-profit and just learning how to create a mobile application. This team not only took the time to explain key concepts to us but acted as true partners through the entire process. If they felt a request from us would break some of our underlying principles of keeping the app simple, they would provide that feedback. They made several key recommendations through the entire process that ensured we were able to create a great application. The team never watched the clock and never made us feel like we were using too much of their time. Even after we signed off on the application and it went public, when a couple of items were discovered they quickly remedied them and re-submitted. 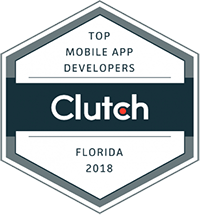 We have worked with other application developers before, I can tell you that CMC was head and shoulders above the rest. If you would like to see their work, our mobile app is the "Stroke Awareness Foundation" app. Thanks CMC, you are a pleasure to work with! As a small, growing, independently-owned fast casual restaurant we needed a legitimate website to communicate to our customers what we're all about. After looking into several local companies first and exploring their portfolio I didn't feel any of them speaking to me. My sister referred me to Will and Core Media Concepts. As soon as I checked out their portfolio I made contact. The rest is history. Pounders Hawaiian Grill dot com. Check it out. Core Media Concepts is very knowledgeable in all things pertaining to websites. Which is really good cause I'm not. They went above and beyond with creating a link for customers to contact me directly and for applicants to apply for a job right on our website. This is insanely helpful for managing a restaurant. If it wasn't for my procrastination they would have finished the site in under two months. Pleasure to work with and extremely pleased with the outcome. Will is one of the most professional people I have dealt with in a long time. He was responsive, creative, and willing to work with me to launch my business site quickly. I highly recommend CMC to anyone who needs a web page developed. Also, the final product was fantastic! Will is an exceptional designer who does a great job and very personal. Incredibly talented and innovative team. I work in ftje fashion and art industry and they're never short on creativity! I'm an Interior Designer, and I know barely anything when it comes to the technology world. Will and his team provided inspirational and strategic ideas and made the website development process a smooth one. I was highly impressed with the final product. Good work, Core Media Concepts! Very professional, great communication, definitely recommended for your online business needs. Good information. Useful and interesting! I had some ideas about how I would want my blog and/or website to look but I was unsure on how to get there. Not only did Will handle every last detail for me but he also created my blog as if he had been inside my imagination all along. He is fully available for any and all questions I have and I can feel how important it is to him that I am happy with the service his company provides. He has gone above and beyond and I am beyond happy with the results and his genuine care.